Cabinet office minister Oliver Letwin has become embroiled in a row over alleged comments he made about not wanting Sheffield families to afford cheap holidays. Mr Letwin made the alleged comments privately to Mayor of London, Boris Johnson. 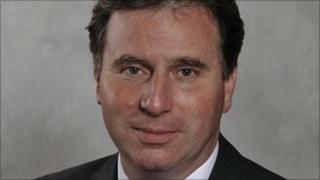 Deputy Prime Minister Nick Clegg has warned Mr Letwin to "tread with care" if he visits Sheffield. Mr Letwin has not denied, confirmed or apologised for the alleged comments. It is alleged that during a conversation with Mr Johnson about new airports, Mr Letwin said: "We don't want more people from Sheffield flying away on cheap holidays." Sheffield Hallam MP, Mr Clegg told Sky News Mr Letwin had "become the most controversial politician in Sheffield". Mr Clegg said: "I suggest to him that he probably wants to tread with care when he comes to visit a city that I love." However, Mr Letwin said: "I do not ever comment on things that are alleged to have been said in private conversations but I would never knowingly ever say anything offensive to anybody." He added that he was "passionately behind" social mobility and "devoted to people being able to make the most of their own lives." In a letter to Mr Letwin, Denis MacShane, MP for Rotherham said: "This is pure snobbery that is unworthy of someone with your wealth and privileged upbringing. "Can I say these remarks are profoundly offensive to all the people of South Yorkshire who have as much right to enjoy a holiday as the millionaires in the Cabinet." Paul Blomfield, Labour MP for Sheffield Central, said he would raise the issue with Mr Clegg in the Commons and would be "demanding that David Cameron gets Oliver Letwin to apologise." The Liberal Democrat leader of Sheffield City Council, Paul Scriven, has also written to Mr Letwin. He said: "If the reports are accurate then Mr Letwin should apologise and take up my invitation to come up to Sheffield to explain himself." Mr Johnson who disclosed the remark said: "I was absolutely scandalised the other day to hear a Government minister tell me he did not want to see more families in Sheffield able to afford cheap holidays." Mr Johnson did not reveal who made the comment, but reports emerged suggesting it was Mr Letwin. Prime Minister David Cameron suggested Mr Letwin had been misquoted. He said: "I normally find, if you look at the full quotation of what Oliver Letwin has said, it is often different to what was reported in the newspapers. "And I haven't looked at the full quotation but I expect when I do I will probably find I am right."